Couple of weeks ago we travelled to Wroclaw, Poland, to shoot the first music video from Shadows of the Dying Sun. This time we decided to work with a Polish production company, Grupa 13, whose work includes new Behemoth video amongst others. The song we chose for the video is called While We Sleep. It’s a wistful song with all typical Insomnium elements included – riffs, melodies, aggression, sorrow, grandeur and hope. We shot everything within one day and it was really a pleasure to work with such a professional film group. Everything went smoothly and we are amazed and very happy with the ending result. You really can’t complain when the film group provides you vodka schnaps between the takes. We sincerely hope that you’ll like the ending result as much as we do. 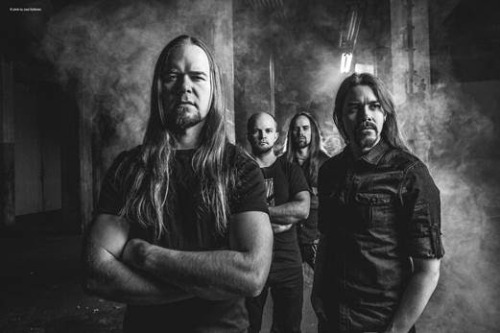 This entry was posted on 9th April 2014 at 10:57 am and is filed under News with tags Century Media Records, Insomnium, Shadows Of A Dying Sun, Ville Friman, While We Sleep, Wrocław. You can follow any responses to this entry through the RSS 2.0 feed. You can leave a response, or trackback from your own site.